Issuers and their agents can present details about their exempt offerings in private, branded dealrooms accessed by 'invitation only'. 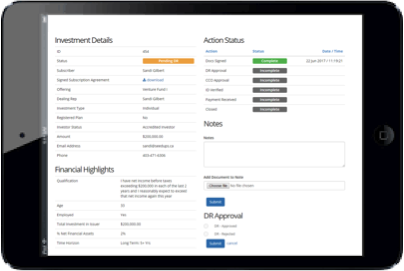 Dealer representatives and CCO's login to the compliance console to review the investor paperwork and document the suitability process. Our automated transaction technology is designed to manage the complexities of the private capital markets. 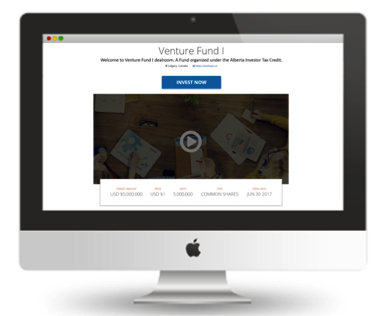 Simply direct your investors to your own branded dealroom where they proceed through an intuitive onboarding process. Once they have answered the pertinent questions, they are presented with the appropriate subscription agreement and other supporting documentation based on their exemption and their jurisdiction. You can be confident your investors execute the right document every time. 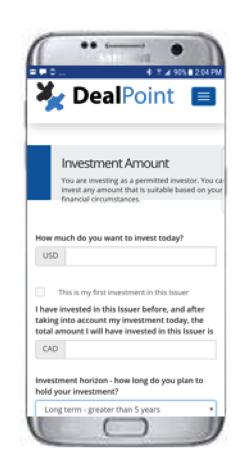 Whether you are an issuer closing a private placement with ten investors, or a registered investment dealer with multiple offerings on the go, we have a custom solution for you. Our clients save time and money throughout the entire process.